Theologian Brent Landau presents the ancient account of Melchior, Caspar, and Balthazar, the three “wise men” who journeyed to Bethlehem to greet the birth of Jesus. 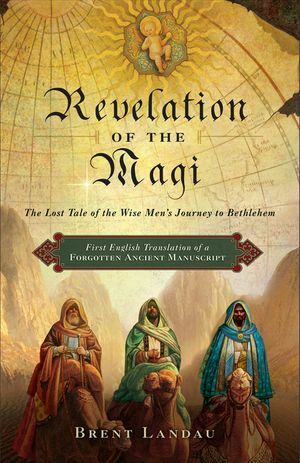 The Revelation of the Magi offers the first-ever English translation of an ancient Syriac manuscript written in the second to third century after the birth of Christ and safeguarded for generations in the Vatican Library. Following in the footsteps of Elaine Pagels and her exploration of the Gnostic Gospels, including the controversial Gospel of Judas, Landau delivers an invaluable source of information to a world interested in learning more about the Nativity and the life of Jesus of Nazareth.